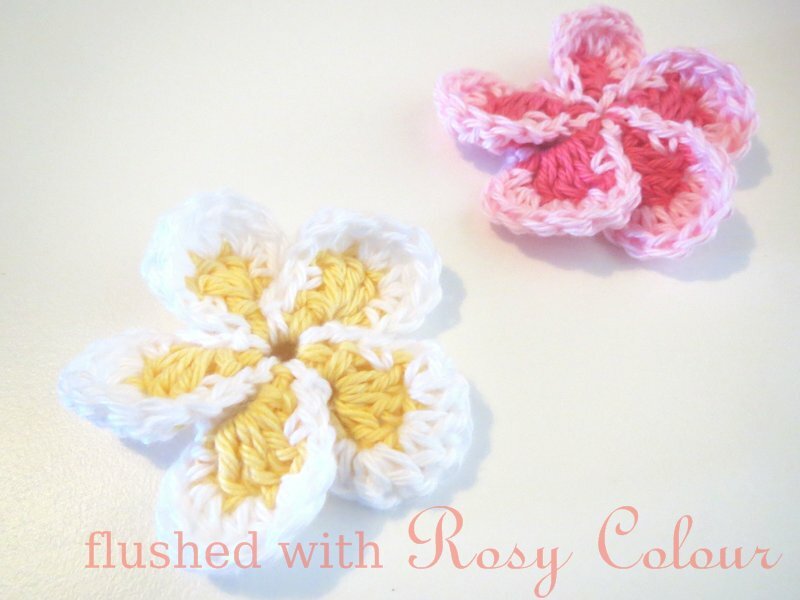 I was thinking to crochet a butterfly to go with the small pink cap, so tried this one. It's not quite right for the hat though so I will have to think of somewhere else for this butterfly. I googled images of crochet butterflies and found one I liked. I followed the chart, except the largest stitch I used was a triple treble. That's when you yo (yarn over hook) 4 times. There is a larger stitch in the chart which looks like yo 5 x, after some research I couldn't find the name for that stitch. I decided I would just do triple trebles instead. The result is the two top wings look quite large, I don't think the photo on that site matches the chart. 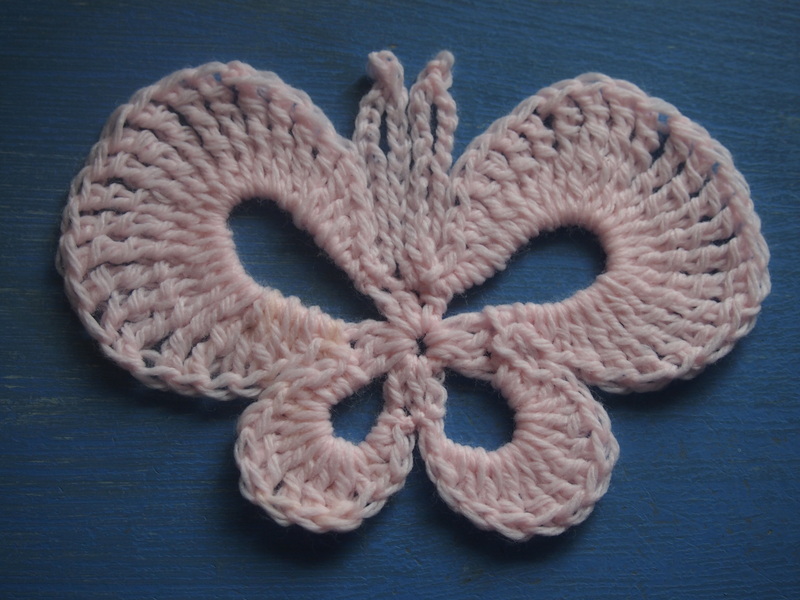 Maybe I will try a variation of this butterfly again with thicker yarn so it is a bit firmer, and with some of the stitches smaller than in the chart.There was another butterfly I liked I might also try one day. This butterfly is too floppy for a brooch, maybe I can stitch it onto a bag or something one day?